Finance Costs > How Much Does It Cost to Send Money with Western Union? How Much Does It Cost to Send Money with Western Union? Western Union offers a global money transfer service, and there are three ways you can send money: in person, online or by phone. With Western Union, one can send money online 24/7, and the recipient can collect the money as cash at any Western Union agent location worldwide. In certain countries, however, the money can either be received in a mobile wallet or deposited into a bank account. 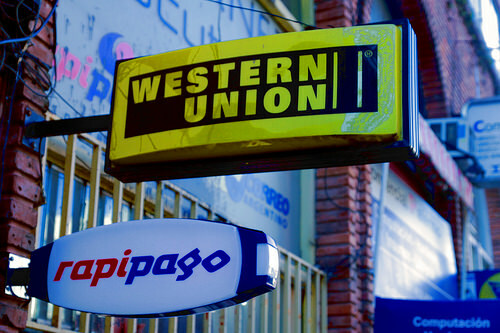 To perform an international transfer of money, the sender has to visit a Western Union location. The offices are available in over 185 different countries with more than 400,000 locations to choose from around the globe. How much does it cost to send money through Western Union? Western Union charges around $5 for a transfer of money of up to $50 anywhere in the U.S., but a transfer of $1,000 can cost $95 if you’re using a credit card. The cost will depend on the amount of money you are transferring, where you are sending it from, where it will be picked up, where you process the transfer (an agent location, online or via phone), and how fast you want your money to arrive. As for countries, the fees will depend on how you’re going to fund the account (credit card or bank account), the amount you’re sending and the country you’re sending to. Consider using this official estimator at WesternUnion.com to see what you’re going to pay. Western Union is a wire money transfer service which allows one to quickly transfer money the world over. One can go to a designated Western Union location and then send money to any location as required. The recipient can collect money at a Western Union location within their area or have cash deposited into a checking account. Basically, it is just an electronic transfer of funds, similar to that of PayPal. You can initiate transfers at a local Western Union location, online or by telephone. In each instance, there are multiple options for transfer to choose from, each one with its own associated fees. Depending upon the destination and countries of origin, available transfer options include Western Union’s Three Day service, Next Day service and Money in Minutes service. Using a credit card instead of your bank account to send money can incur a transfer fee larger than $10. On average, plan on spending at least $10 per $100 sent. Also, when using a credit card, the company will view this as a “cash advance,” which means you will pay a higher interest rate and a fee. You will want to use a debit card in order to avoid these costs. Paying within minutes can incur charges that start at about $10 per $100; however, if you don’t choose the expedited option, the charges can be a lot less. Sending money in person can incur additional fees, which usually start at $8. The more money you send, the more you’re going to pay in fees. Pay close attention to the exchange rate as the company is known to hide hidden fees on the real exchange rate. Typically there are two options. You can send money in minutes where the receiver can pick it up the same day, or the next day service, where the receiver can pick it up 24 hours after you sent it. This process can often take up to six days for people to pick up depending on the amount being sent and country you’re sending it to. Western Union offers an online cost estimating tool that helps you to calculate the cost of an international or domestic transfer. A local agent at Western Union can also calculate the cost of the specific transfer. All anyone needs in order to send money is a first name and last name to use as the sender’s name on the form, a first and last name to use as the receiver’s name on the form and the money to be transferred including the fees. All anyone needs to collect the cash is a valid government-issued ID card; the first name and last name used as the sender’s name and the receiver’s name on the form; the 8 or 10-digit MTCN# (money transfer control number); and the test question and answer. For those customers who regularly complete transactions of international money transfer, some of these collection points offer special identity cards to make the process even faster. Western Union, on average, limits transactions to $2,999, but in some cases, there are ways to go over this limit. Beware of scams. Once you send money via Western Union, it is basically gone for good. Since a recipient can pick up the cash in person, it be hard to track somebody down, especially if it’s overseas. Popular locations that offer Western Union services include Kroger, Walgreens, 7-Eleven, Safeway, Fry’s, Quicktrip and Winco Foods. In most cases, the money can be picked up within minutes of sending, but this will depend on the method chosen when sending the cash. It will remain in the system for 45 days, but according to our research, it will be sent back to the sender if not redeemed after nine months. Use your bank account to avoid paying additional fees. Special promotions may reduce the fees for sending certain amounts of money to and from certain countries or locations. Search for promotional codes online to save on fees. You can enroll in the Western Union MyWU program. This program saves all of your data on past sends, including transfer to companies. Also, you gain rewards points where you earn 1 point for every $2 in fees. Sending money online or via the mobile app will be cheaper than sending in person. Western Union is one of the many ways to wire money, so it doesn’t hurt to compare competitors Walmart, for example, has been known to offer cheaper rates than Western Union in most scenarios.